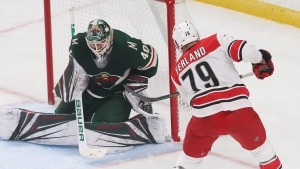 TSN Hockey Insider Pierre LeBrun and Bob McKenzie joined host James Duthie to discuss the latest with the Sergei Bobrovsky situation, what happened with the Colorado Avalanche and how things are looking for the World Cup of Hockey in 2020. What’s the latest with Bobrovsky? Goalie Sergei Bobrovsky was scratched for Thursday’s matchup with the Predators for disciplinary reasons. Is his relationship with the Blue Jackets souring? LeBrun: It really depends on what happens next. There’s a meeting Friday between Bobrovsky and the Blue Jackets organization and I think that’s going to be key in how this plays out over the next few days. But beyond that, Sergei Bobrovsky controls his own fate in many ways. He has a full no-trade, a full no-move, he decides if he wants to get dealt before next month’s deadline or if he wants to play out the year and head into free agency. Now, Jarmo Kekalainen, the general manager in Columbus, told me today that this is not about a rift between head coach John Tortorella and Bobrovsky. He wants to be very clear about that. Having said that, I think it’s because of some of the comments made last year after the playoffs his goalie didn’t sign an extension. So we’ll see where this goes. What’s going on with the Avalanche? During the dying seconds of Wednesday’s loss to the Flames, head coach Jared Bednar and Nathan MacKinnon were seen yelling at one another on the bench. What happened? McKenzie: Well it’s mostly frustration and the Avalanche have only won one of their last 10 games. 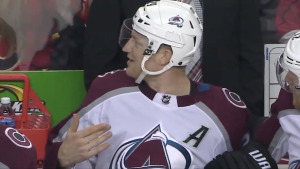 They’ve been playing some great hockey in some of those games but coming up on the wrong end of it and Nathan MacKinnon, a visceral hockey player who wears his heart on his sleeve, got very frustrated. Now in the very small picture, MacKinnon wasn’t happy with the deployment of the pulled goalie after the Avs came within a goal with 38 seconds to go. But in the bigger picture, it’s really just frustration at the team actually playing some good hockey games and coming out on the losing side of it. There is not believed to be any underlying issue that’s going to linger between Jared Bednar and MacKinnon. Who’s out there on the trade market? With just over six weeks until the trade deadline, things might start to heat up soon. Who might be available? LeBrun: Micheal Ferland is on the trade market. It doesn’t necessarily mean that he’ll get dealt but he is an unrestricted free agent on July 1 – remember he was part of that deal with Calgary. He’s a difference-maker. The thing is, I don’t think the Hurricanes feel they can lose him for nothing on July 1. They either have to get him signed, or they will deal him. They have started talking to teams. Both sides, in terms of Ferland’s agent and the team, have not talked in over a month. McKenzie: The Philadelphia Flyers will be a team to keep an eye on between now and the trade deadline. New general manager Chuck Fletcher has a lengthy – and I mean lengthy – list of things he wants to do. He needs to find himself a goaltender who can buy some time for Carter Hart to develop. He needs to get himself a top-four defenceman to help mentor his young defence. And he also needs to get himself either a top-two or top-three line cente to try and take some of the load off the existing forwards. Those are not easy things to do. Now, will he trade veterans between now and the deadline? Absolutely. 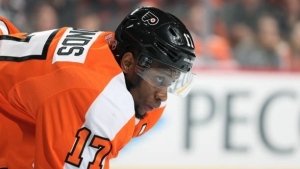 Wayne Simmonds is more likely than not to be traded. It’s not 100 per cent, but more likely than not. And while Fletcher could get draft picks and prospects coming back in for a guy like Simmonds or another veteran player, he’s also planning on using draft picks and prospects and younger players to try and go out and achieve those things (the goalie, the defenceman and the centre). 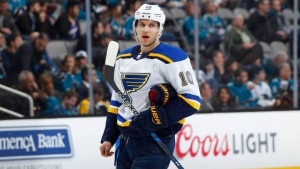 LeBrun: Former Flyer Brayden Schenn is drawing interest around the league. That’s not surprising because as we’ve told you, the St. Louis Blues are in full listening mode. They’re unhappy with how their season has gone and general manager Doug Armstrong has not put a lot of untouchables on his roster. Obviously all the kids are untouchable but he is listening on a lot of his core guys. Schenn is one of them. Now Armstrong doesn’t have to make that kind of move before the Feb. 25 deadline, these are some moves that can be done in the summer. But teams, notably a team like the Boston Bruins, are keeping an eye on a guy like Schenn. Any progress toward a World Cup in 2020? 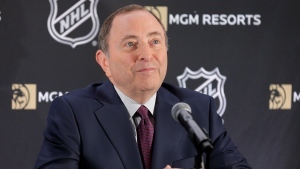 The NHL and NHLPA met Thursday in Las Vegas. Did they make any progress toward another World Cup of Hockey in 2020? McKenzie: They met today in Vegas and there was enough positivity in the meeting, I guess, to have another meeting that is scheduled for next week. Listen, there’s a lot to get done here in a very short period of time. They need to achieve some degree of labour certainty for 2020 that would allow them to schedule the World Cup. But if there’s no labour certainty, there’s not going to be any World Cup.